The Waynedale News building before and after facade work was completed in 2012. Greater Fort Wayne Crime Stoppers, a community program geared toward public involvement in the fight against crime, recently celebrated their 35th anniversary. During their 35 years of service, Crime Stoppers has facilitated the arrest of more than 11,400 criminals using anonymous tips. The non-profit organization offers cash rewards up to $1,000 for tips that lead to an arrest and have awarded more than a half-million dollars over the years. Although part of a national organization, it is operated by local citizens with the cooperation of city and county law enforcement, including Fort Wayne and New Haven police departments, the Allen County Sheriff’s Department, the Indiana State Police and the FBI. Crime Stoppers covers ten Indiana counties and three Ohio counties and is funded entirely through donations from the public. I’m impressed and grateful for the hard work of Crime Stoppers and the group of volunteers who are dedicated to making the program so successful, as well as the businesses and individuals who have provided financial support to fund the cash rewards. It’s critical that we keep our residents safe and Crime Stoppers has played an essential role in maintaining the outstanding quality of life we enjoy in our community. Applications for the City’s Commercial Façade Grant program are now being accepted for the 2019 construction year. I introduced the Commercial Façade Grant program eleven years ago, which provides local businesses the opportunity to apply for matching grants to improve the exteriors of their buildings. 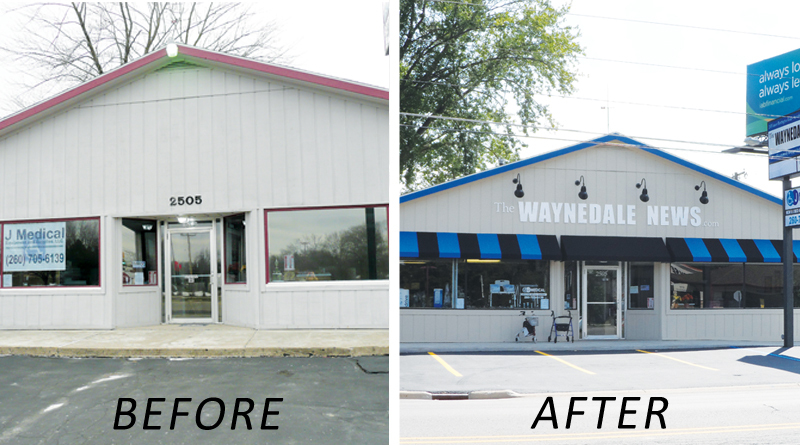 Waynedale businesses have received several façade grants, including the Waynedale News! Applications are available at www.fwcommunity development.org/facade and are being accepted in the Community Development Offices, Suite 320, Citizens Square, 200 E. Berry St. Questions may be directed to Grants Specialist Lindsey Maksim by calling 311 or emailing Lindsey.Maksim@CityofFortWayne.org. Applications for the grants will be accepted from now through December 14, 2018. The Commercial Façade Grant program makes funds available to businesses in the core of the city in areas designated as Economic Development Target Areas, or EDTAs. Business corridors along Wells, State, Calhoun and Taylor streets, as well as Broadway, are all located in EDTAs. Through the program, grants are made to business and property owners to help offset the costs of façade renovations, signage, lighting, awnings, parking improvements, decorative fencing, and other enhancements owners want to make to the exterior of their property. 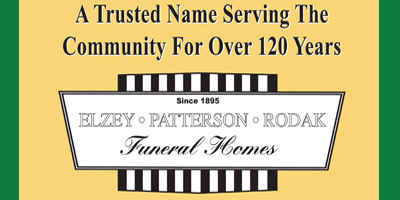 Buildings with a single business are eligible for up to a $20,000 matching grant; buildings or sites with multiple businesses are eligible for up to $40,000. Funding comes from local income tax funds. Since this program began in 2008, 99 façade improvement projects have been completed or are in the process of being completed, generating a private investment of approximately $5 million.